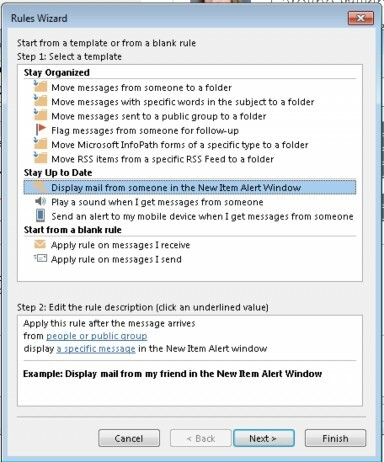 Select Display Mail from Someone in the New Item Alert Window > Next. 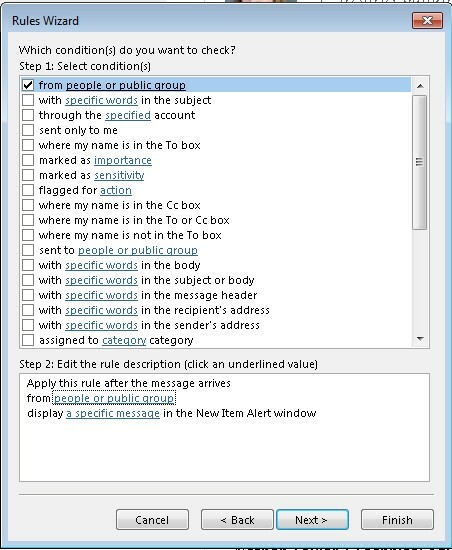 Add further conditions if you wish to do so and click on People or Public Group to specify who the emails should be from. Go to Next and specify any exceptions to the rule. Go to Finish > Close.